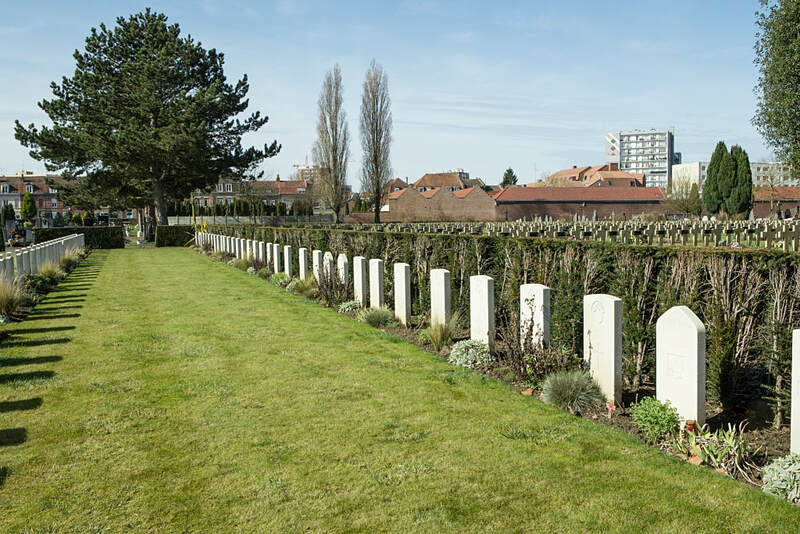 Follow the A25 motorway from Armentieres and exit at Junction 4. Follow the road to the right toward the hospital and turn left at the second set of traffic lights. 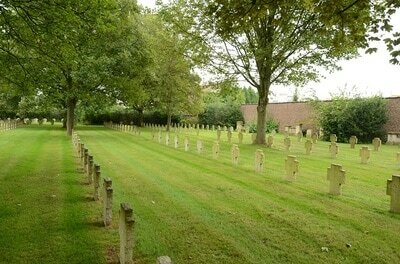 Follow this road straight on until reaching the junction at the Church. Go straight through the junction until reaching traffic lights. 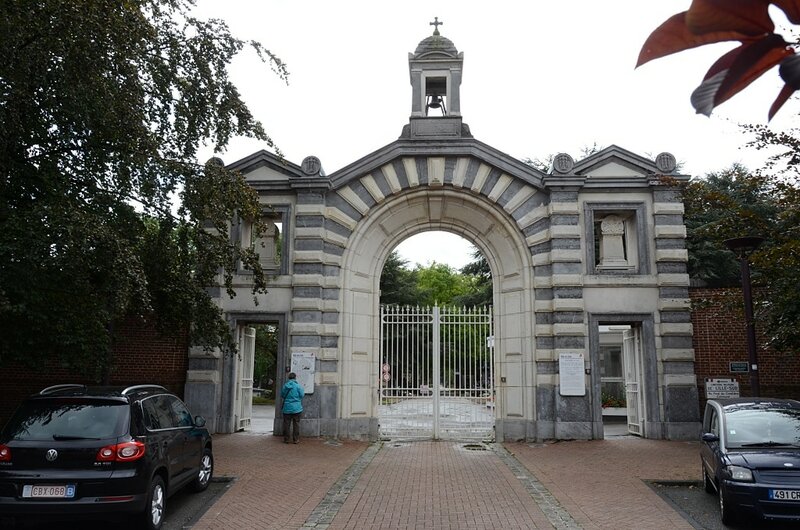 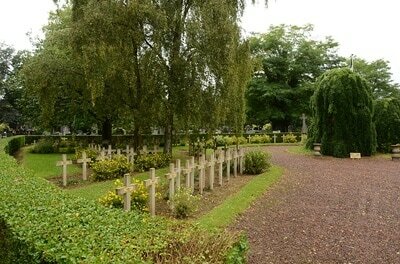 The cemetery entrance is straight ahead at the junction of the Rue du Faubourg des Postes and the Rue de l'Arbrissead. 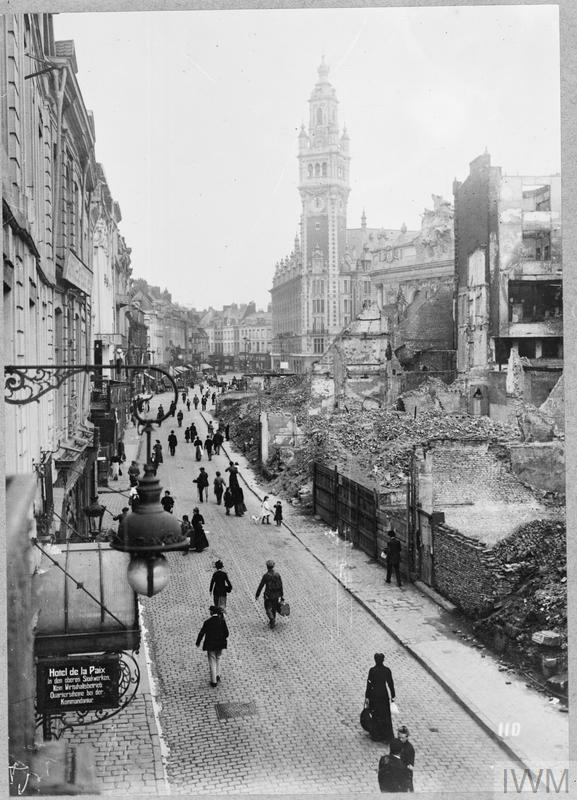 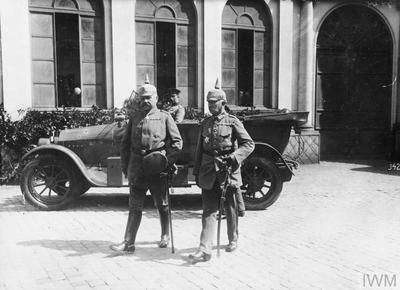 Lille was occupied by the Germans from the 27th August, to the 5th September 1914, and again on the 12th October; and it remained in their hands, undamaged by Allied artillery, until the 17th October 1918. 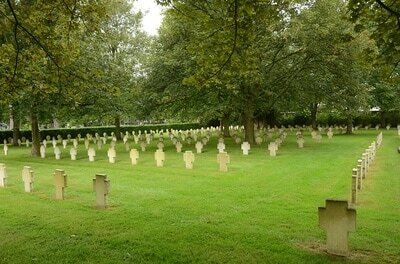 Southern Cemetery was used by the Germans during the greater part of the War, and after the Armistice by the 39th Stationary Hospital and the 1st Australian Casualty Clearing Station. 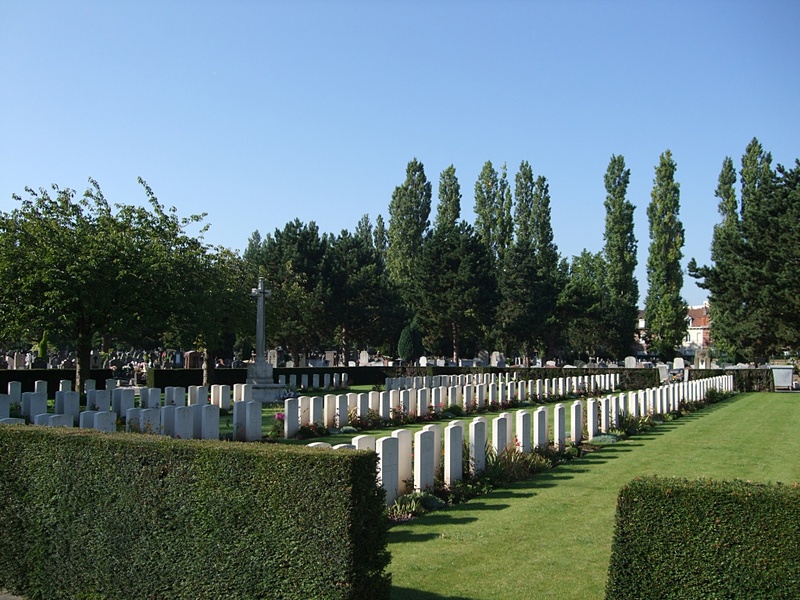 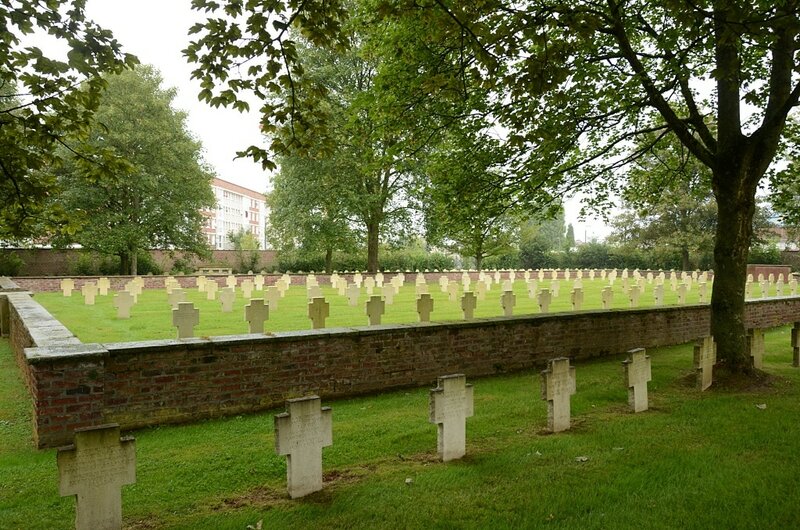 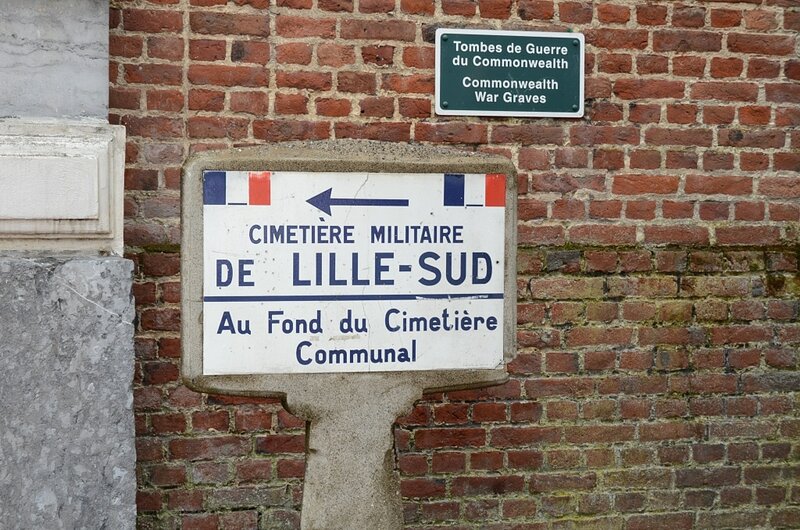 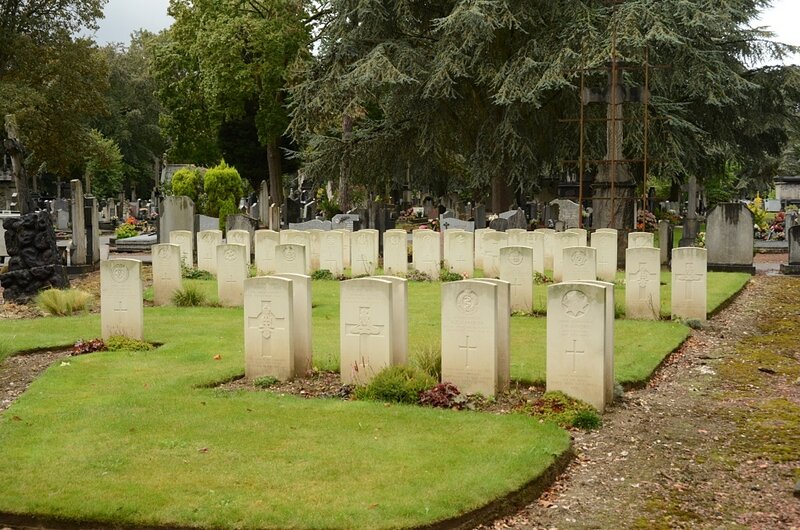 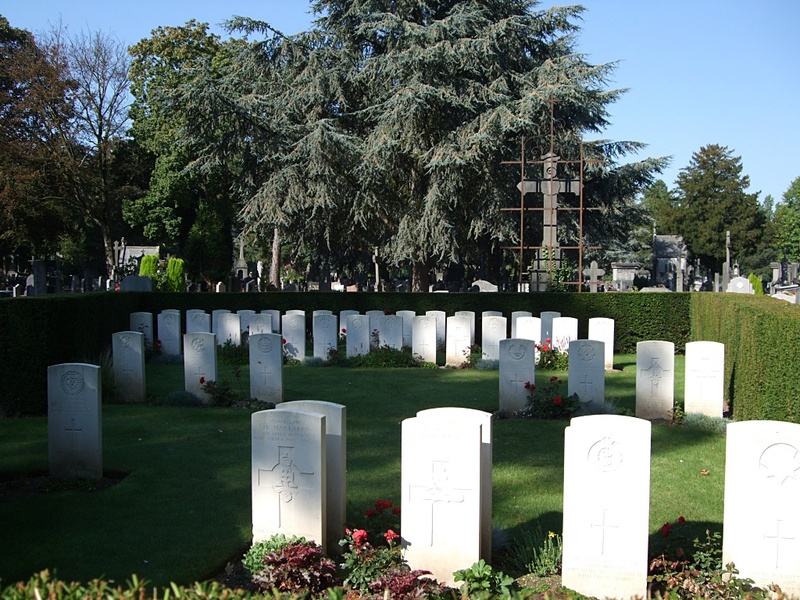 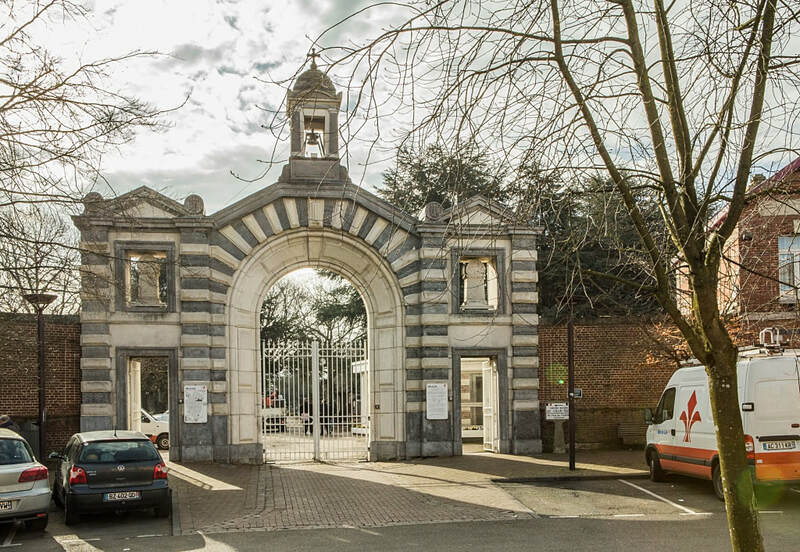 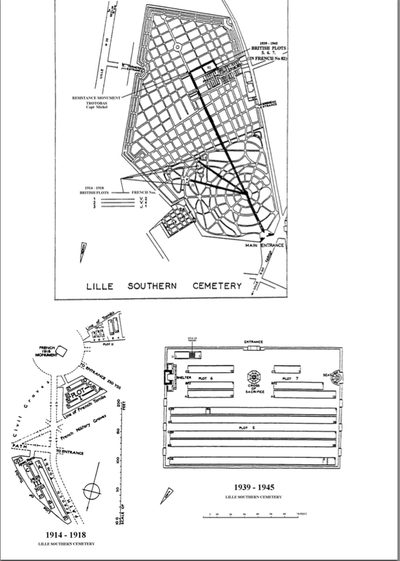 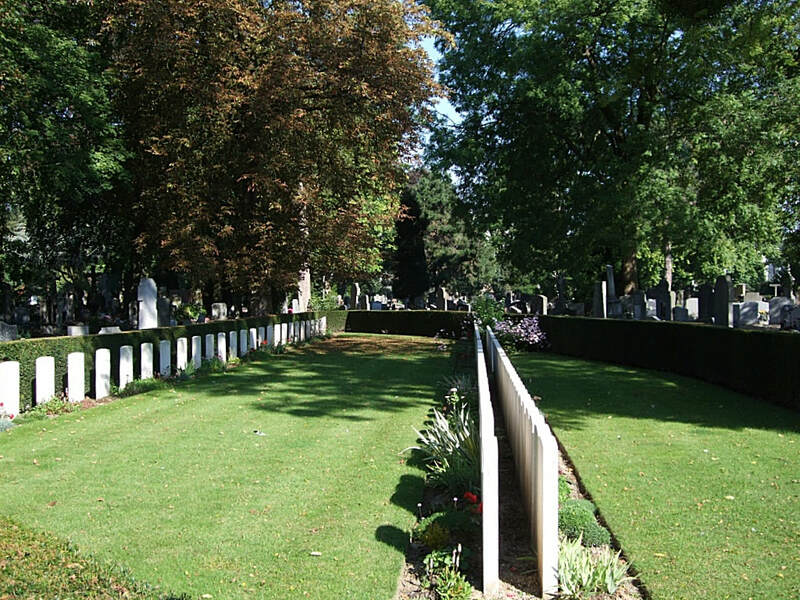 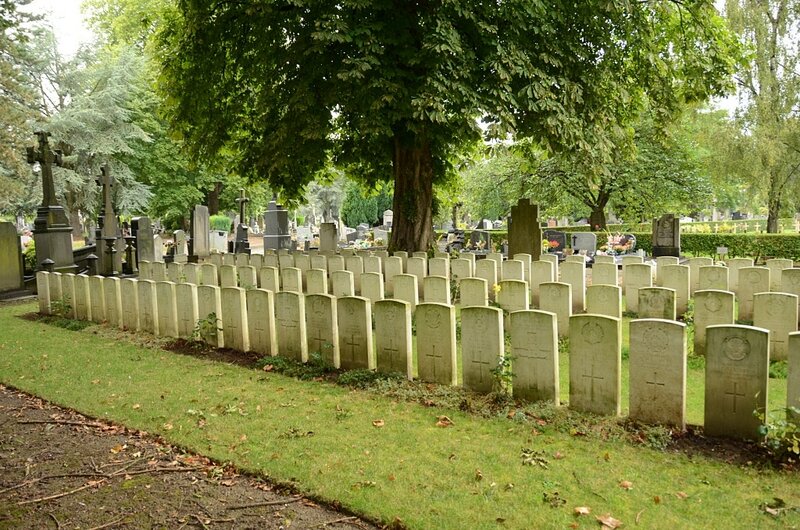 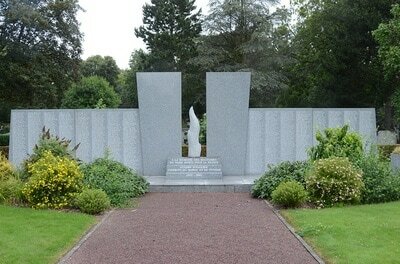 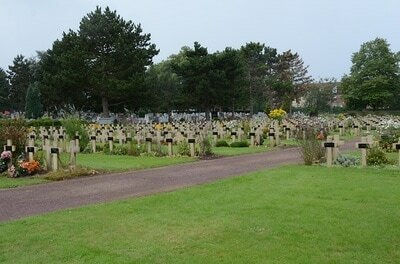 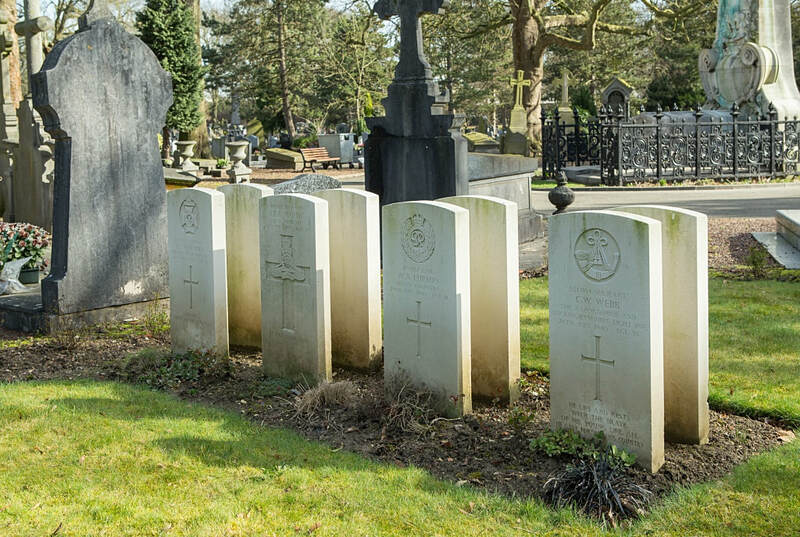 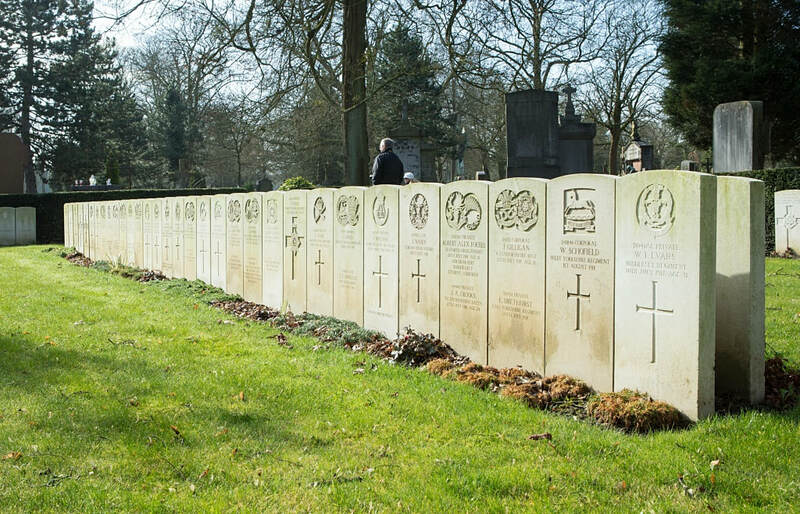 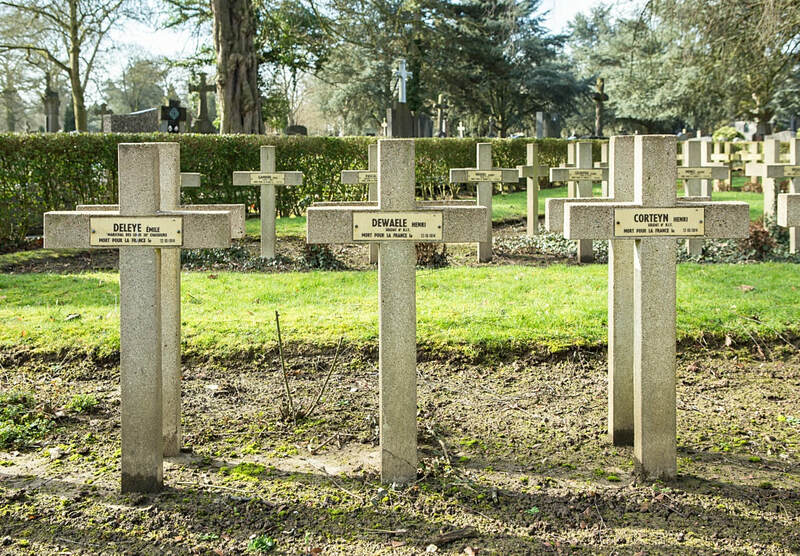 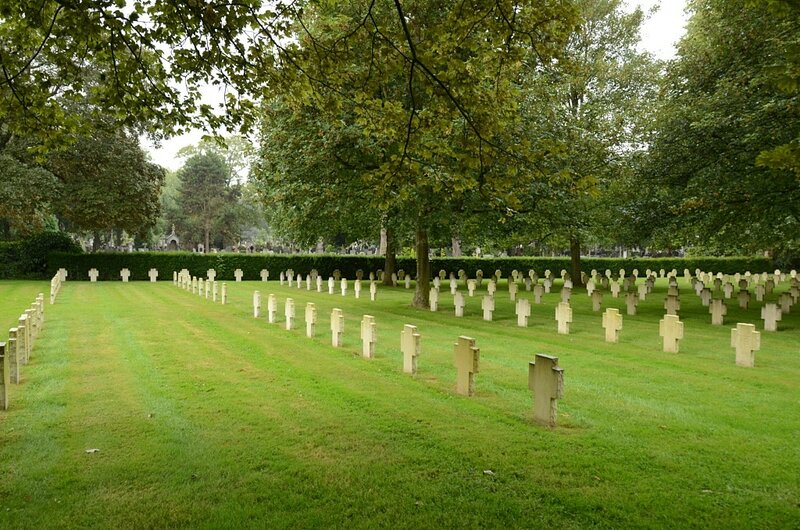 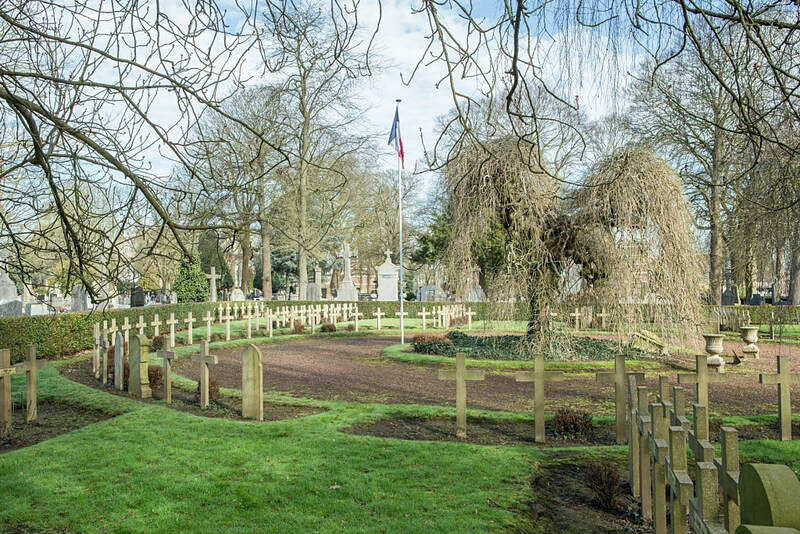 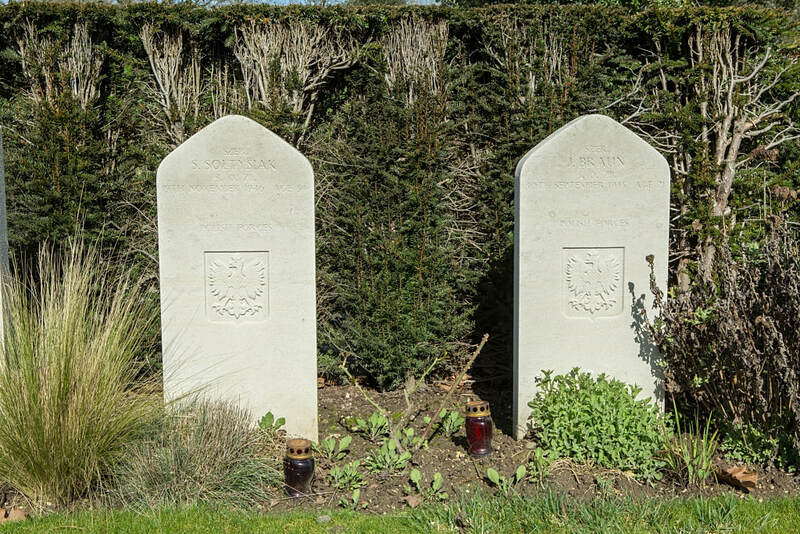 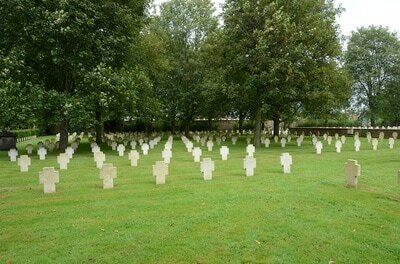 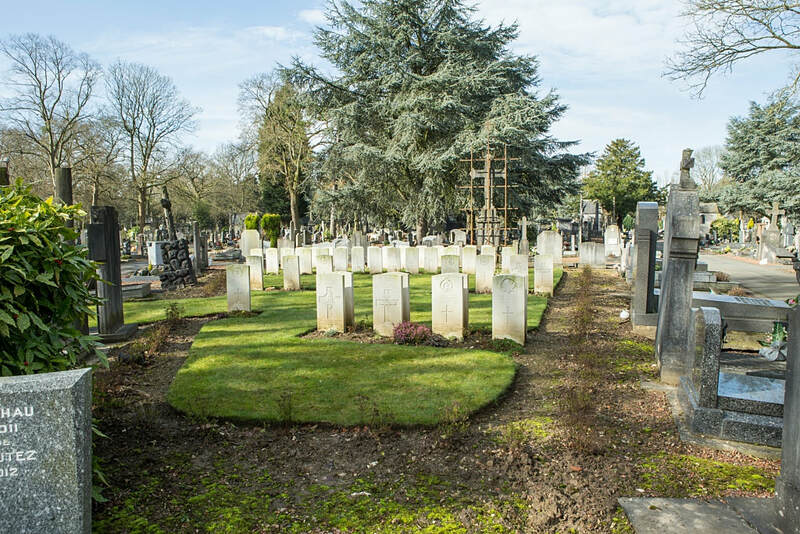 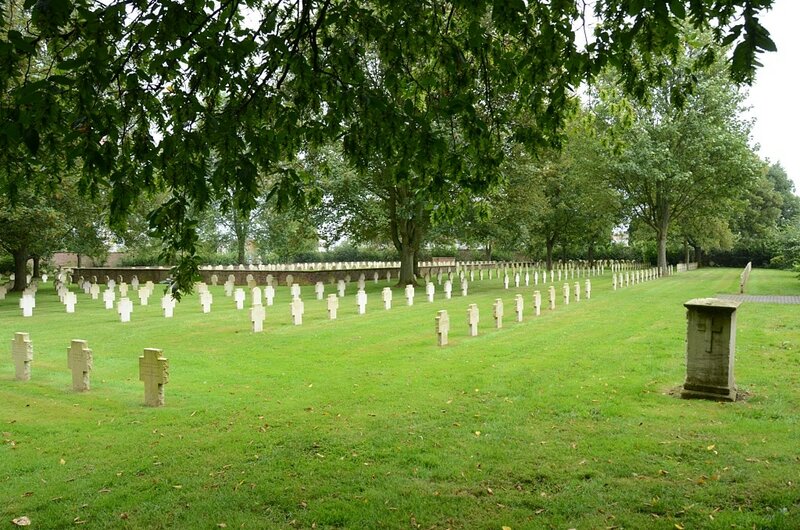 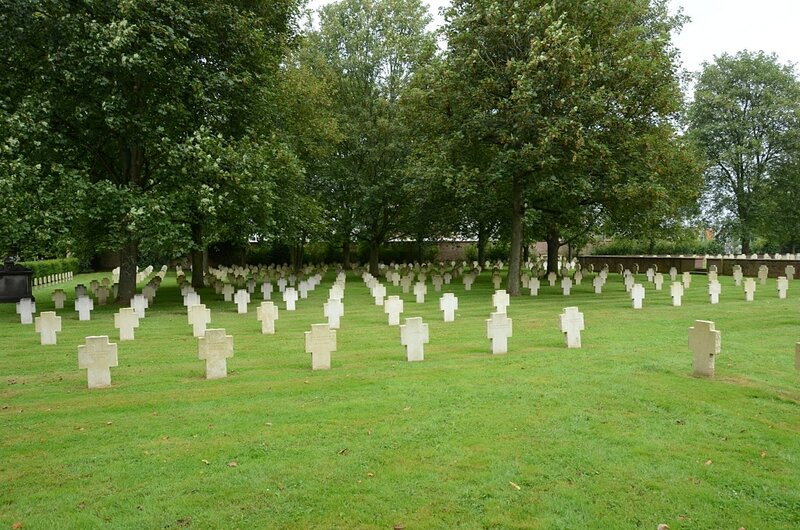 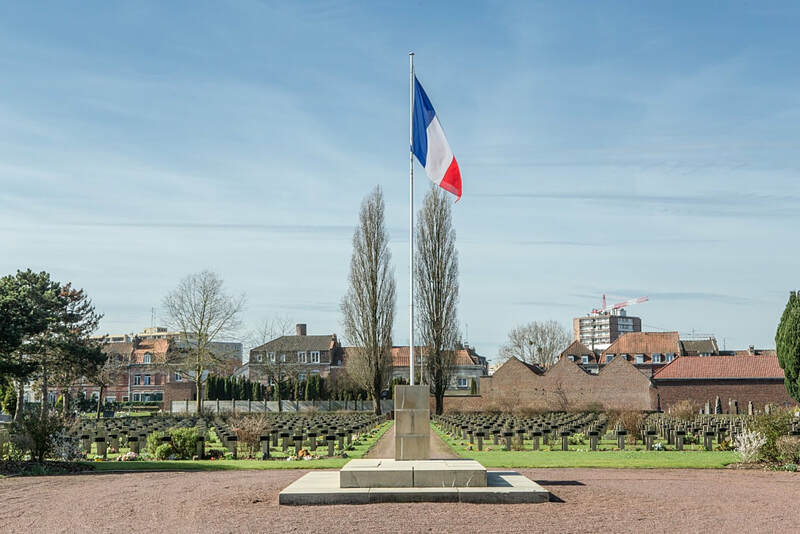 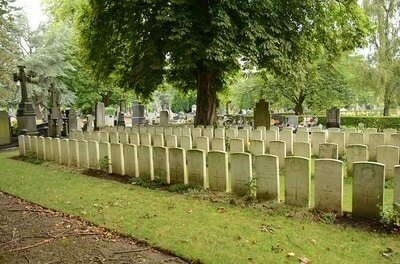 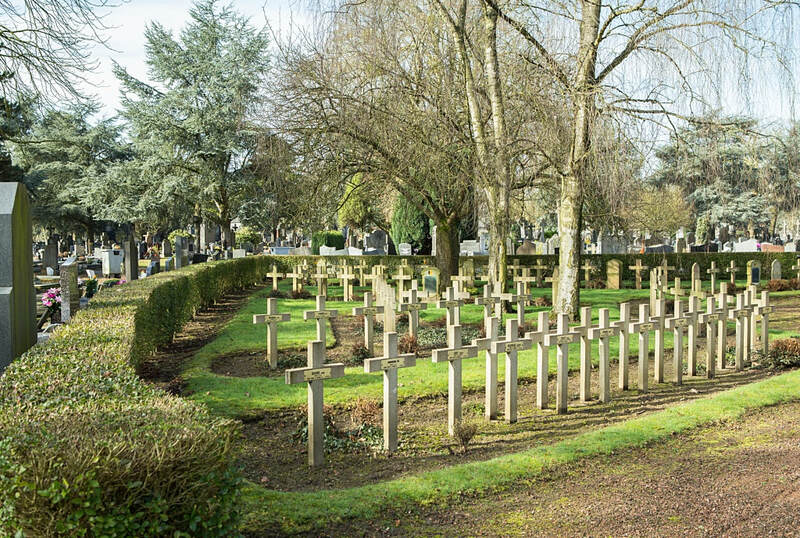 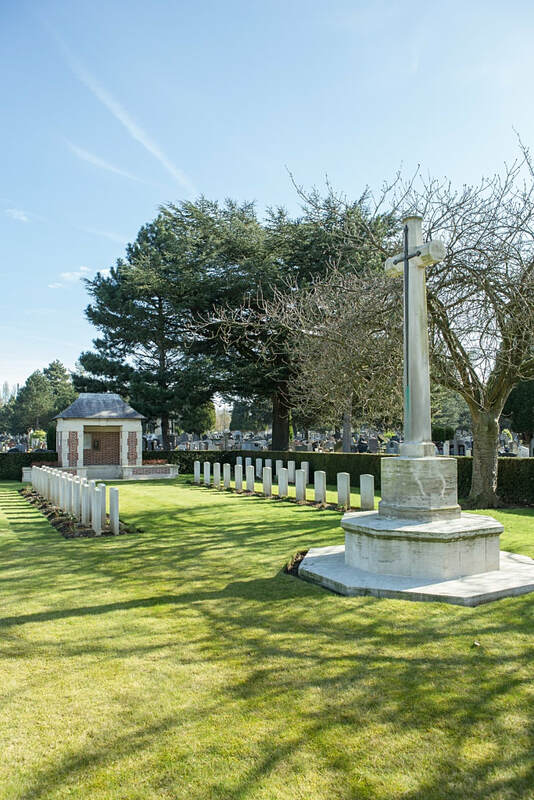 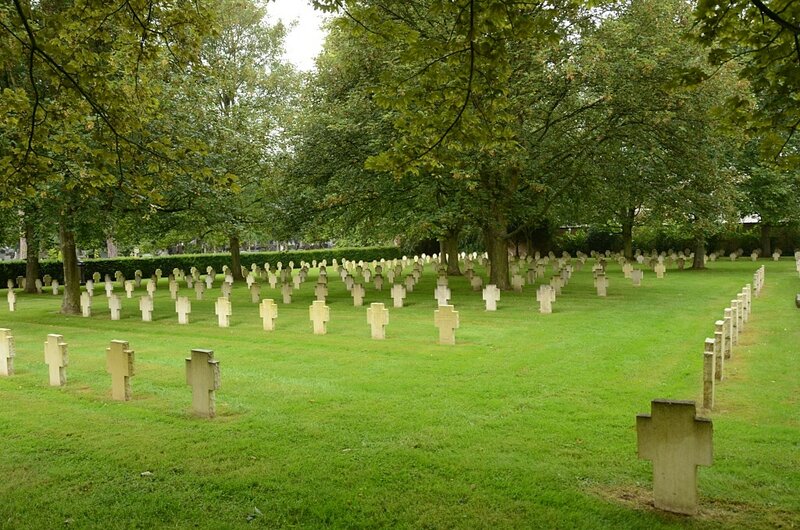 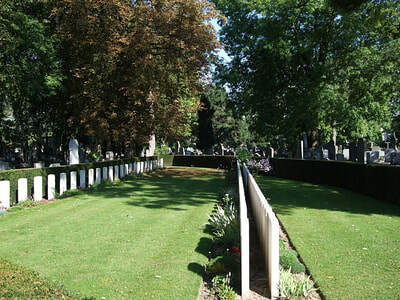 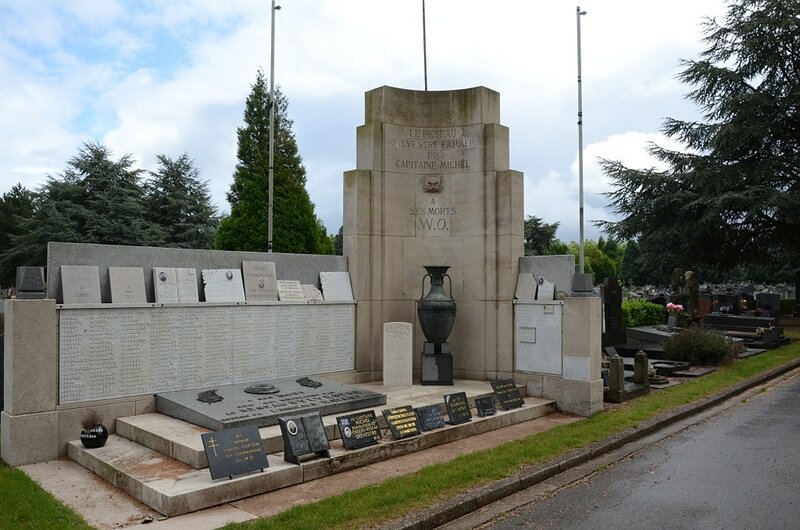 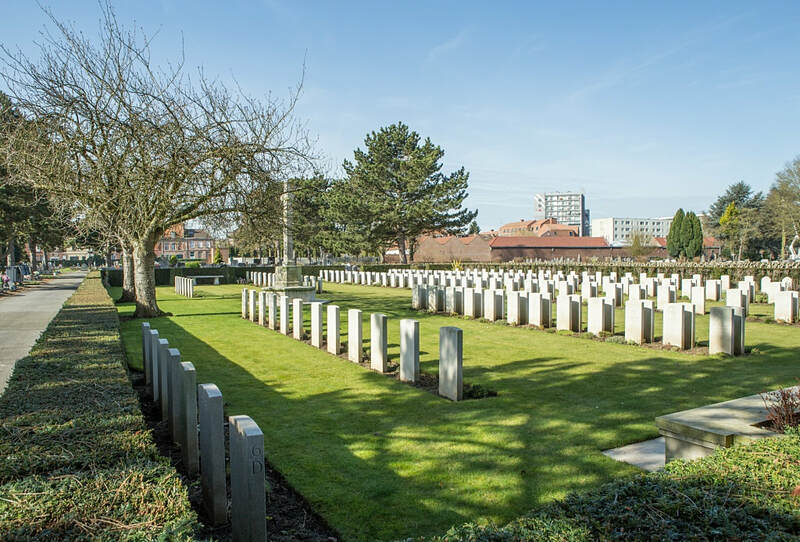 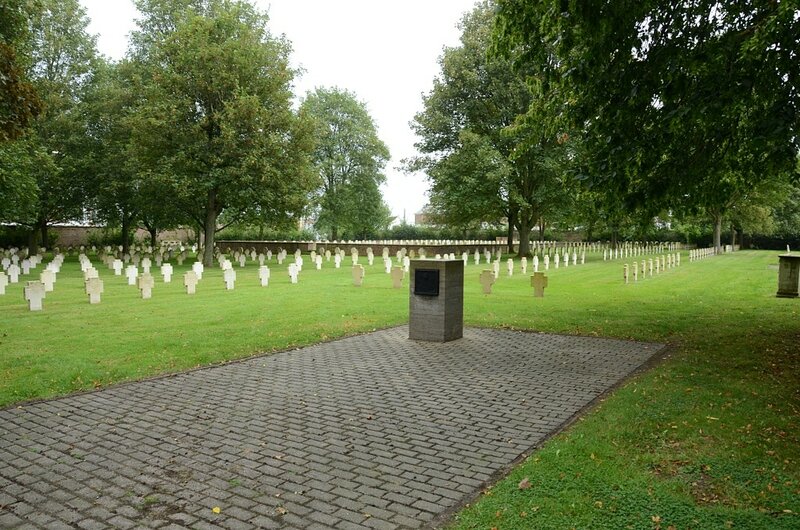 During the 1939-45 War, at the end of March 1940, the 50th Division was near Lille; while in May the same year No.10 Casualty Clearing Station used the Cemetery from the 16th to the 25th of the month. 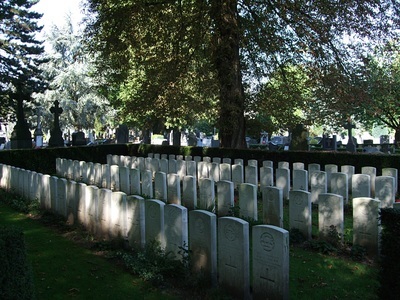 Son of Mrs. Agnes Allcock, of 14, Symonds St., Wanganui, East, New Zealand. 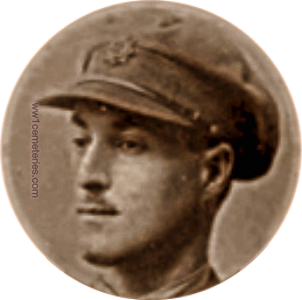 14th November 1918, aged 28. 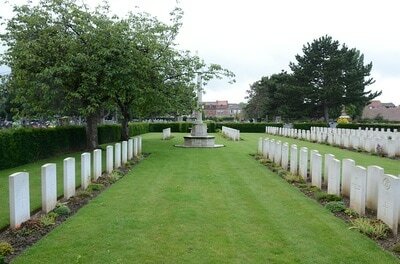 Husband of N. White (formerly Bayliss), of 4, Doddridge Square, Northampton. 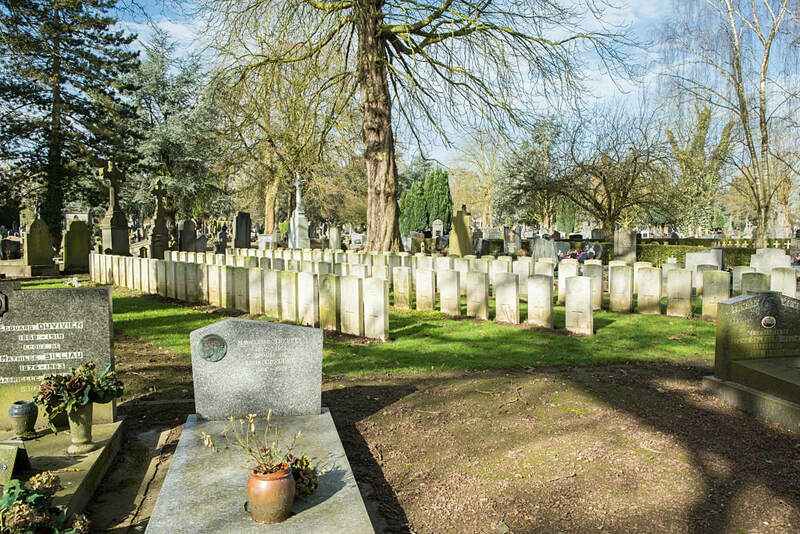 ​His headstone bears the inscription; "Sadly Missed Fondly Remembered From Wife, Daughter And Mother." 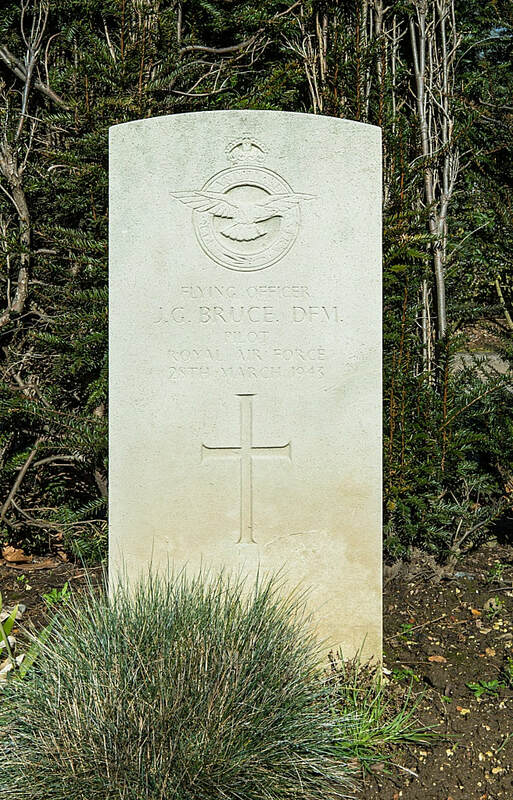 5th October 1942, aged 28. 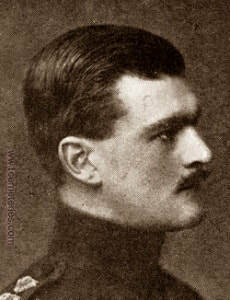 Son of Walter and Sophia Chester; husband of Doreen Mary Chester, of Leicester. 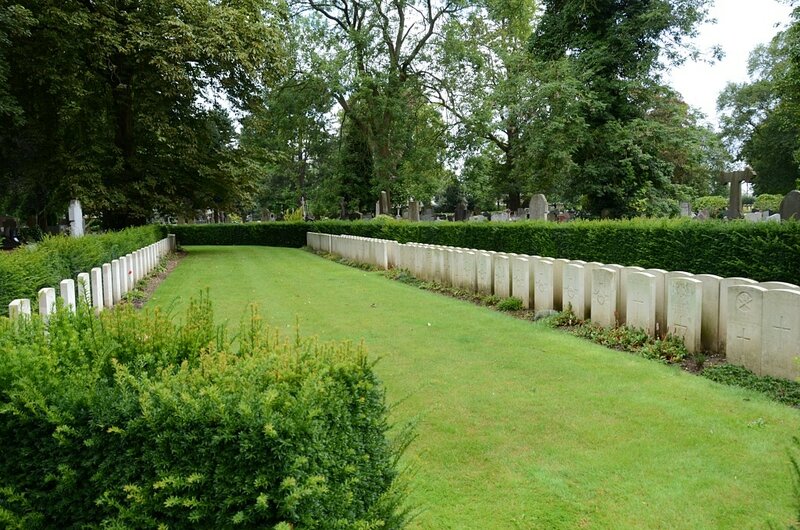 His headstone bears the inscription; "Life Is Eternal; And Love Is Immortal; And Death Is Only A Horizon""
23rd July 1916, aged 37. 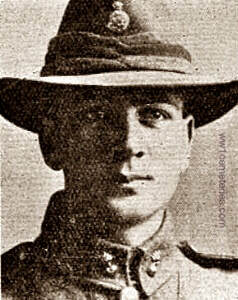 Son of Joseph and Mary Ann Colless husband of Anna J. Colless, of "Coromandel", Wood St. Fremantle East, Western Australia. 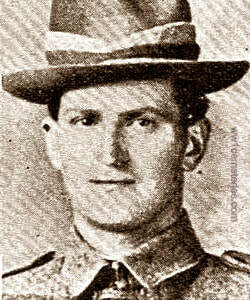 Born at Bourke New South Wales. 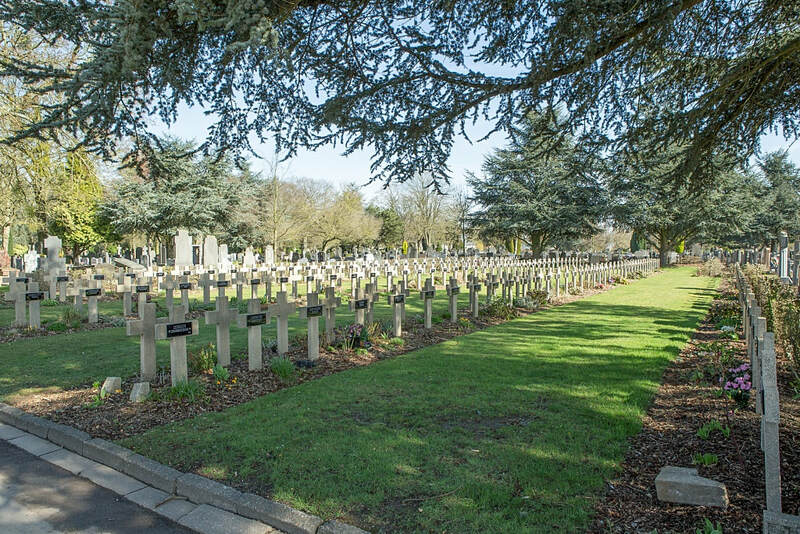 He was listed as missing at Fleurbaix on July 20th 1916 and later confirmed as a Prisoner of War. 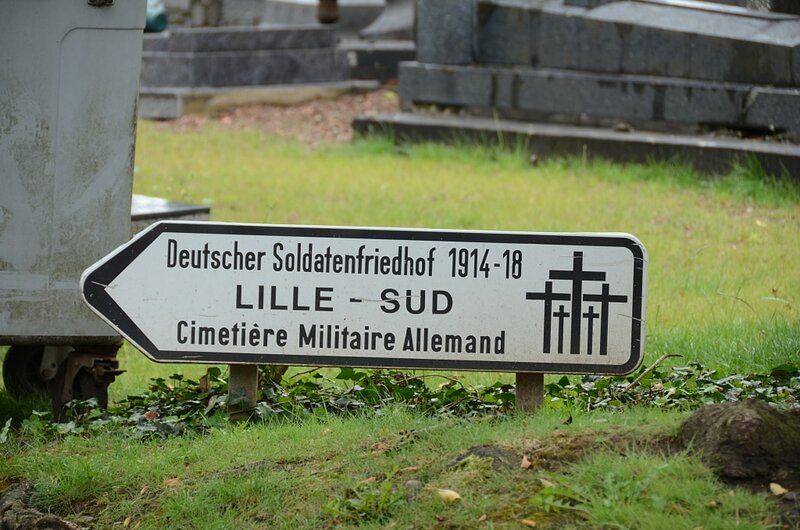 He died at Kriegslz Part 1, Lille, from Sepsis caused by grenade splinters in each leg and was buried by the Germans at Lille Southern Cemetery. 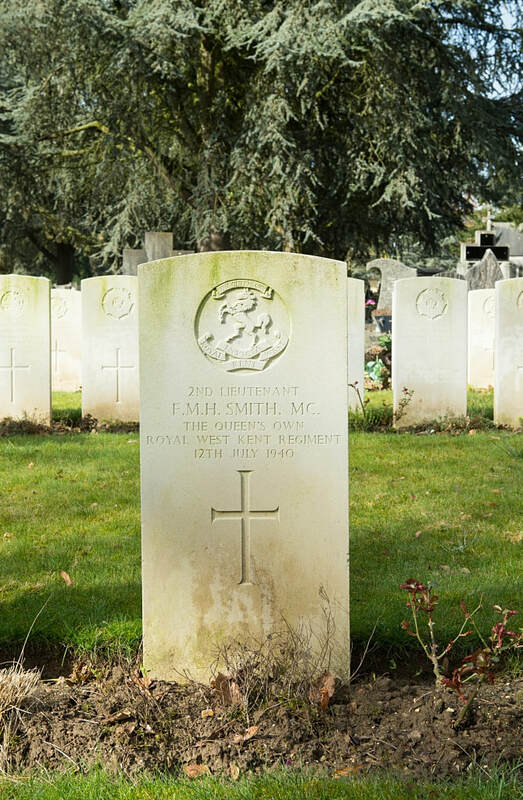 Son of Mr. and Mrs. Andrew Eddie, of Mangahao, Pahiatua, New Zealand. 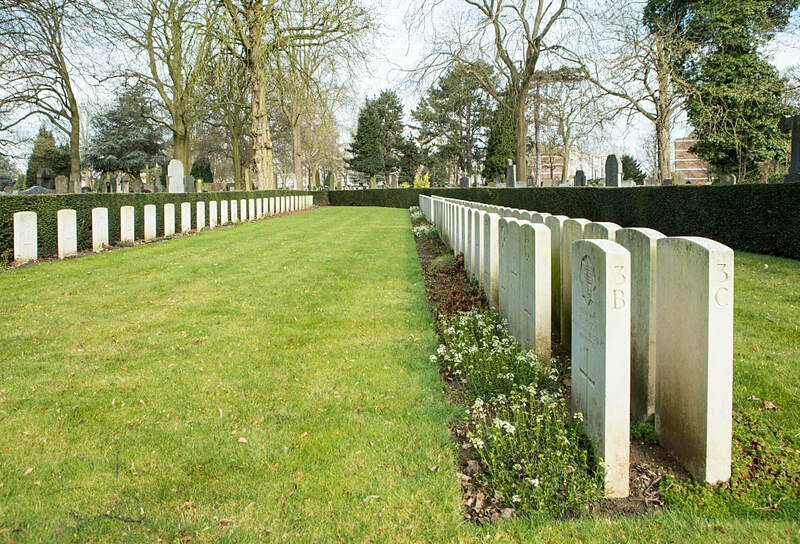 25th February 1917, aged 21. 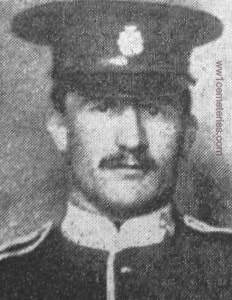 Son of H. G. and M. M. Evans, of Makaretu Takapau, Hawke's Bay, New Zealand. 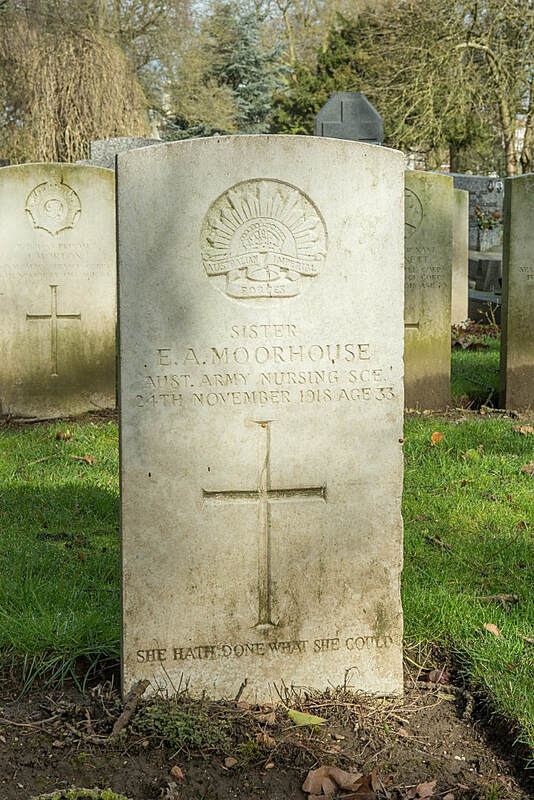 6th November 1918, aged 28. 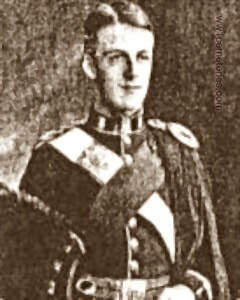 Son of Arthur Grant, of St. "Johns", Colinton, Midlothian. 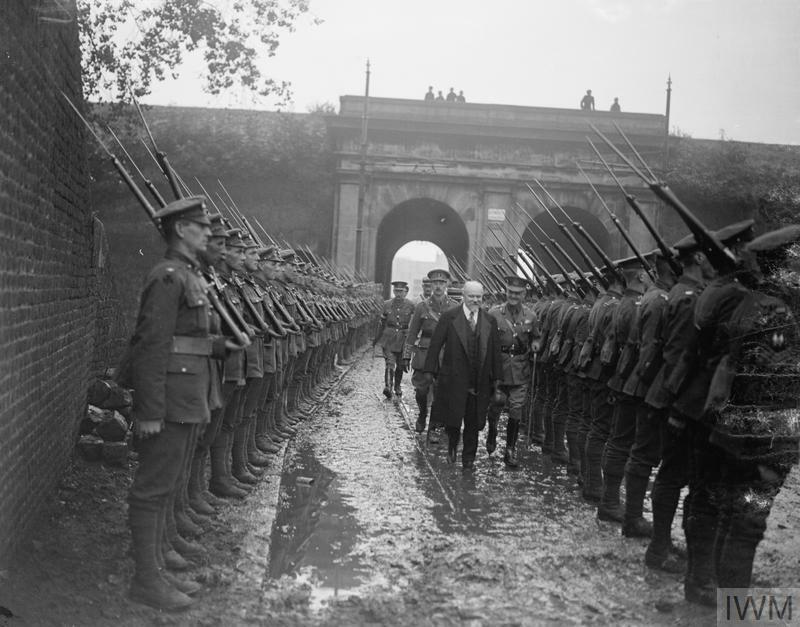 Enlisted in London Scottish Feb., 1915. Gazetted Oct.1915. 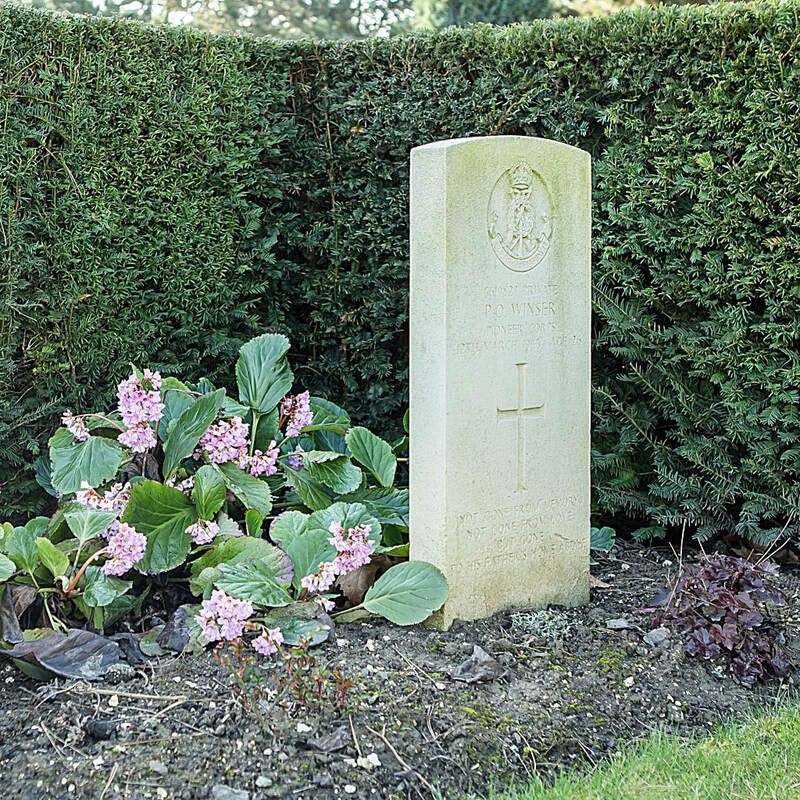 22nd October 1914, aged 20. 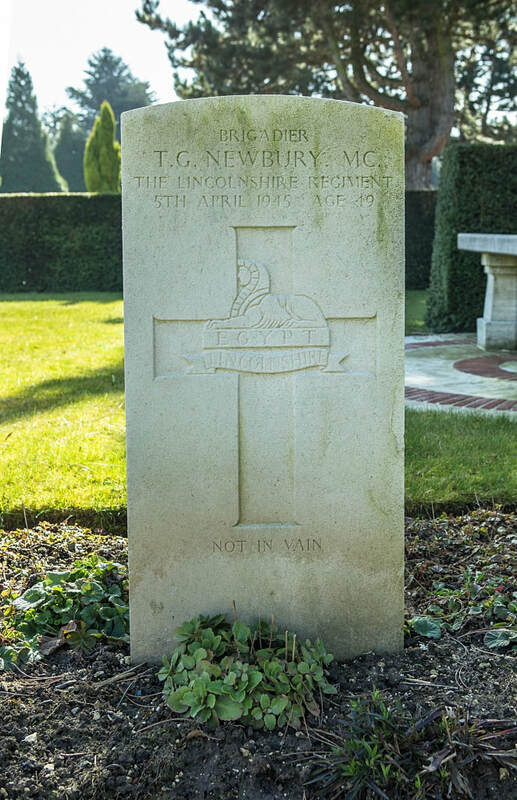 Son of Mrs. C. Griffin, of Wilford, Notts. 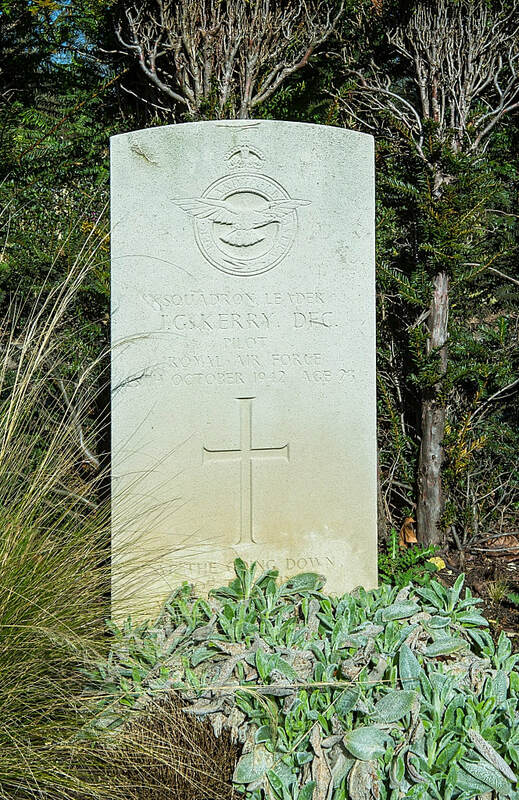 26th May 1940, aged 21. Son of J. McLoram and Ada McLoram, of Deneside, Seaham, Co. Durham. 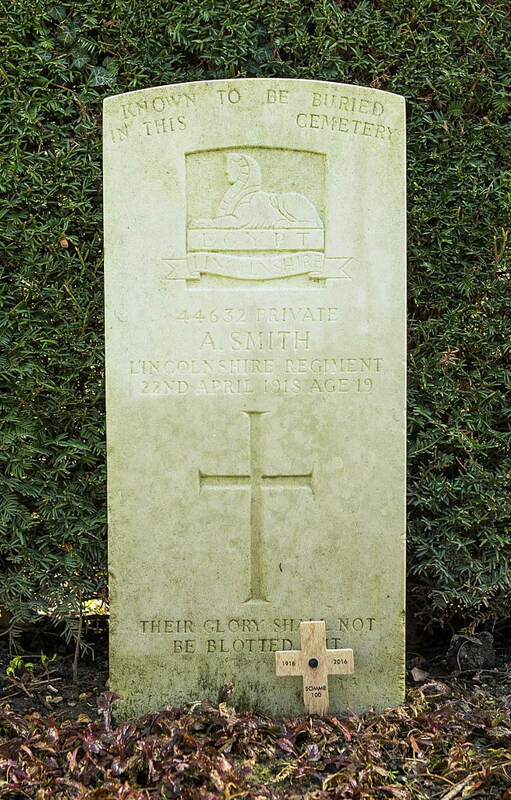 His headstone bears the inscription; One Of The Dearest, One Of The Best, God In His Mercy, Took Him To Rest. 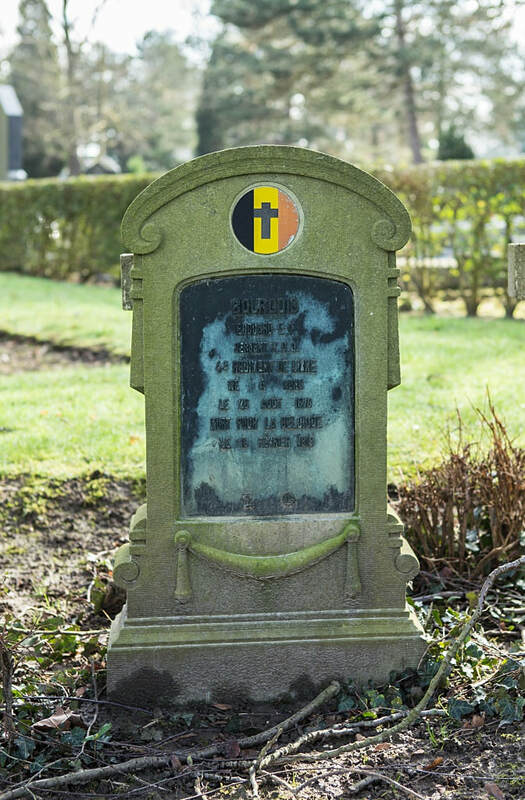 R.I.P. 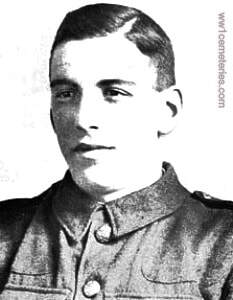 2nd November 1914, aged 28. 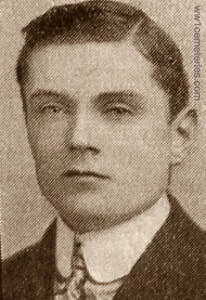 Husband of Margaret Pollock (formerly Murray-Smith), of Mountainstown, Navan, Co. Meath. 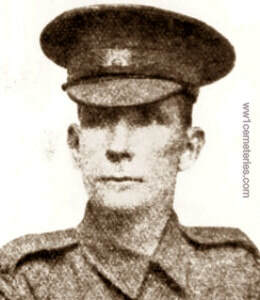 Leonel Graham Pringle (Leo), M. V. O. 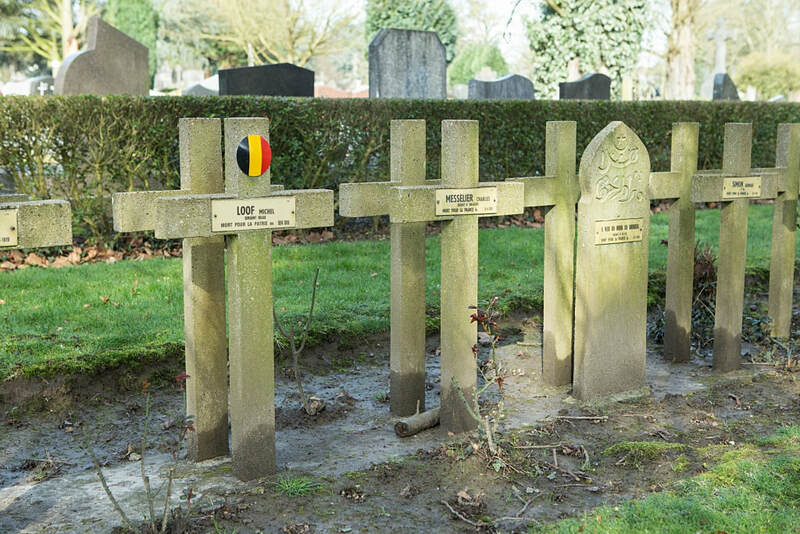 29th December 1914, aged 34. 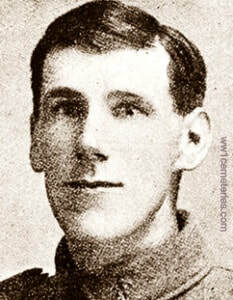 Son of Capt. James T. Pringle, R.N., of Torwoodlee, Selkirkshire. 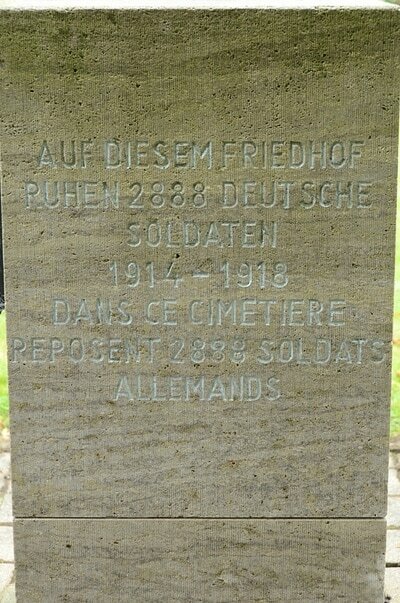 31st May 1918, aged 38. 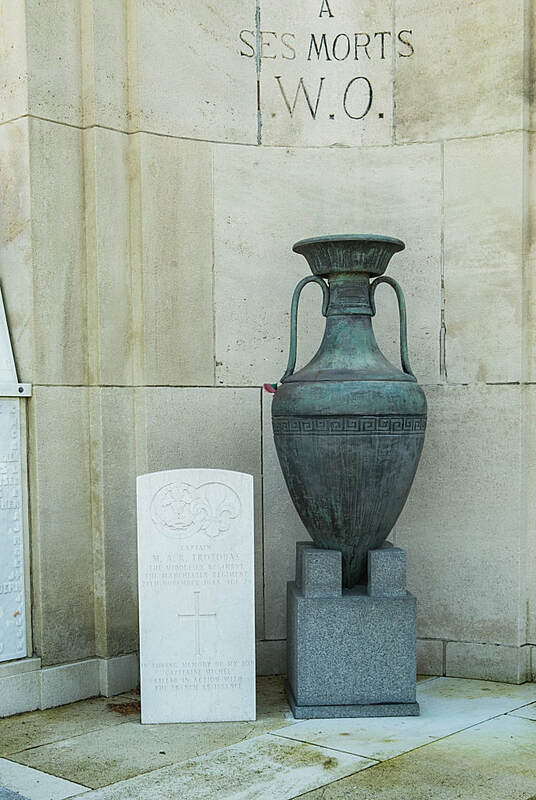 Brother of Mrs. J. 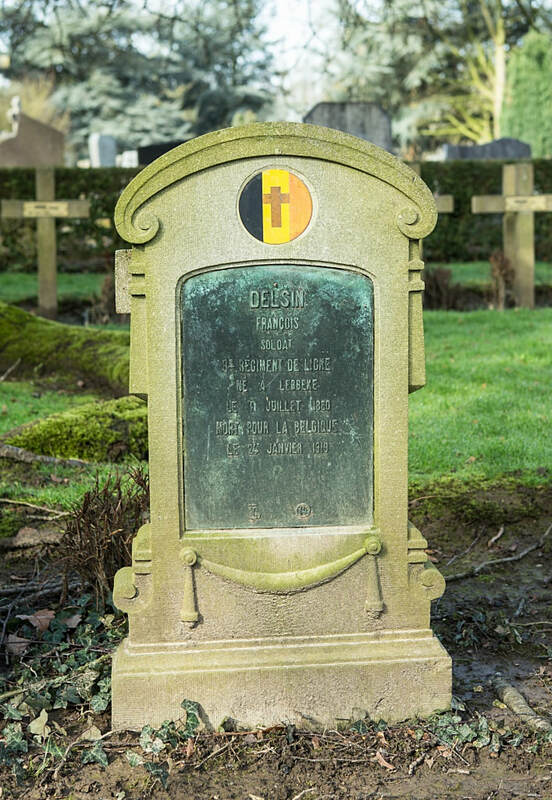 A. Gallienne, of Les Sages St. Peters-in-the-Wood, Guernsey. 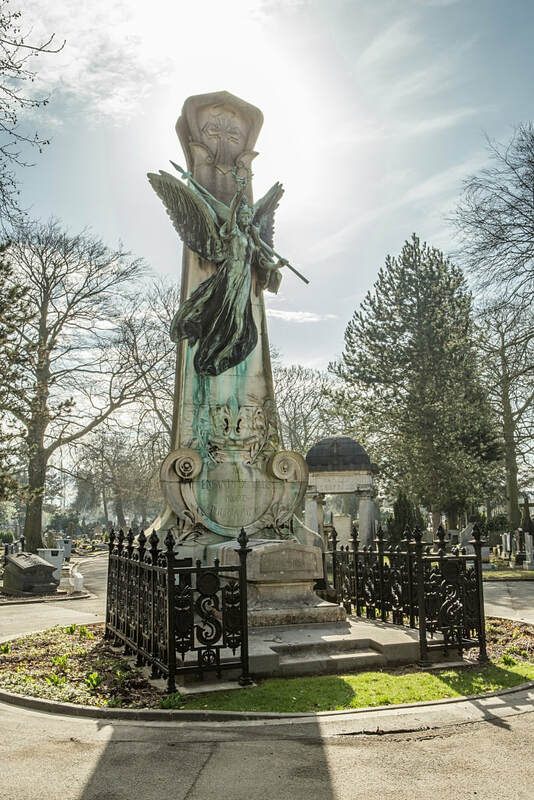 His headstone bears the inscription: "Thy Will Be Done." 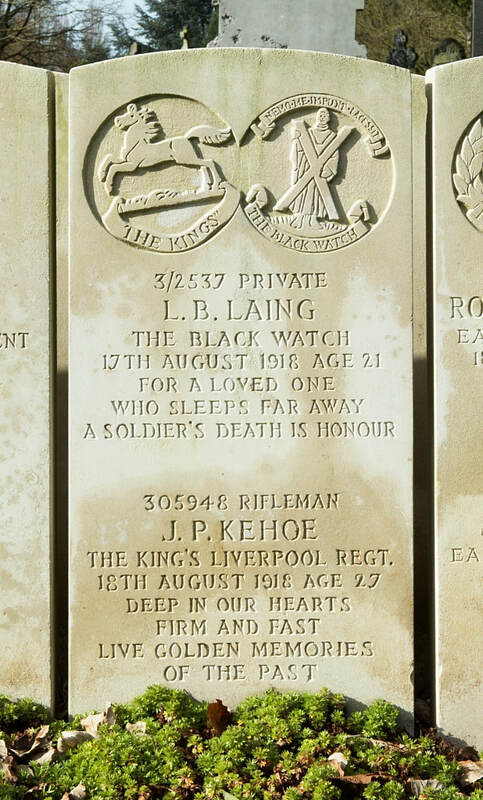 29th October 1914, aged 29. 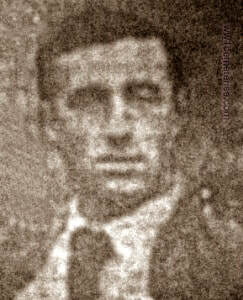 Husband of Mrs E. Rostron of 55 Tentre Street, Burnley. 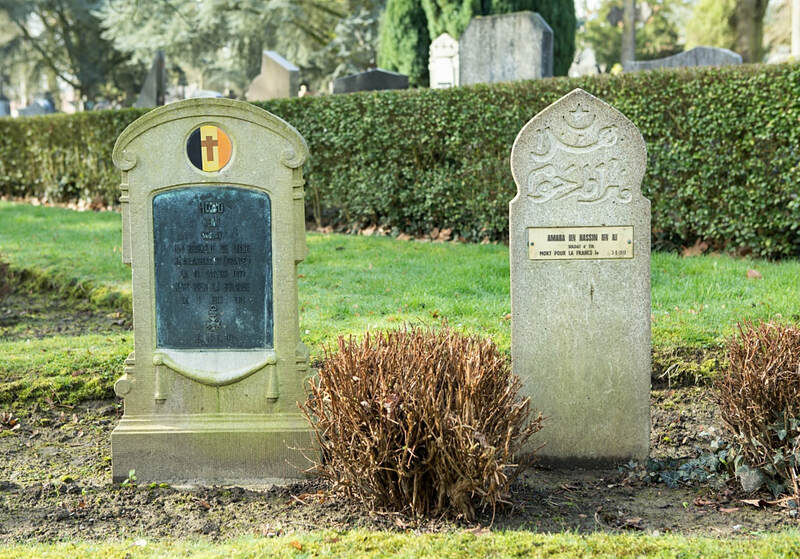 Father of one son. 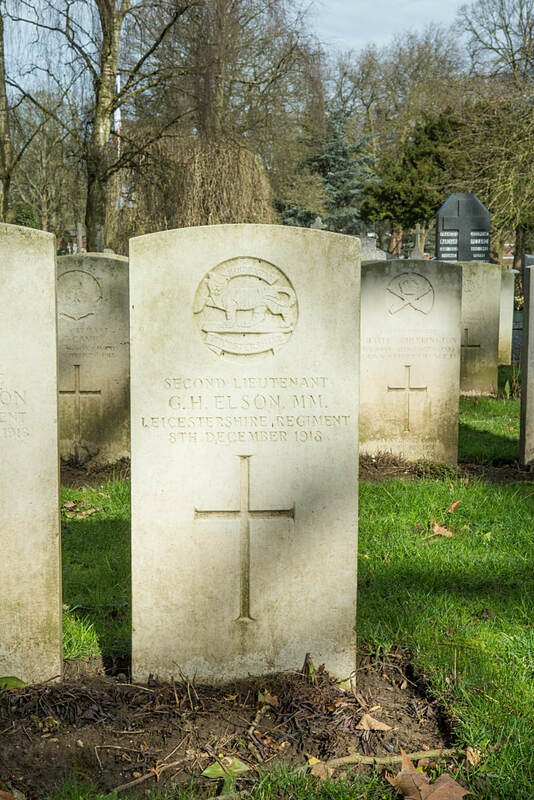 He was reported missing on 26th October 1914. 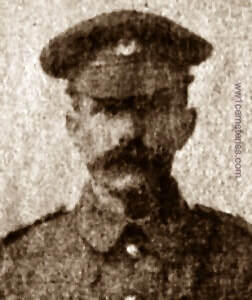 Prior to enlisting, he was a reservist and worked as a weaver at Messrs. Collinge's shed in Burnley Wood. 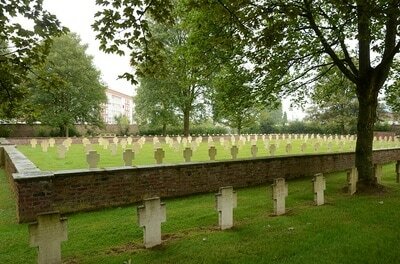 ​2nd Bn. 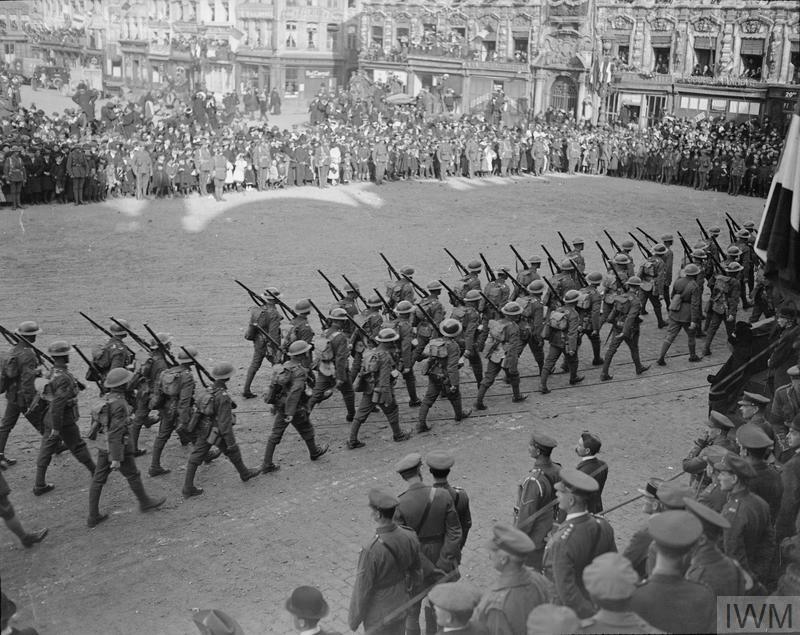 Auckland Regiment, N. Z. E. F.
22nd February 1917, aged 19. 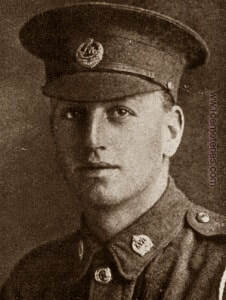 Son of Clara Jacobson (formerly Tarlin), of Titirangi, Auckland, New Zealand, and the late Alfred Tarlin. 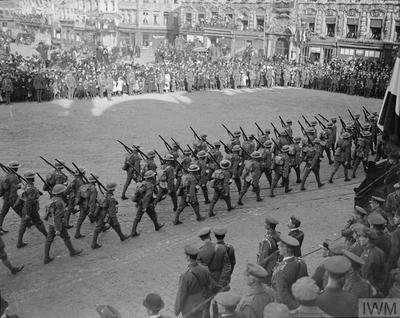 Born at Auckland. 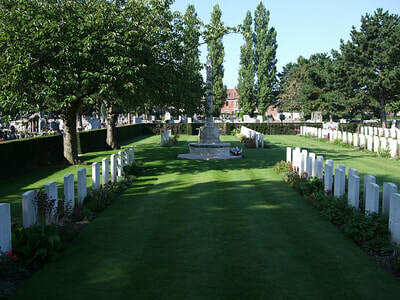 28th April 1918, aged 19. 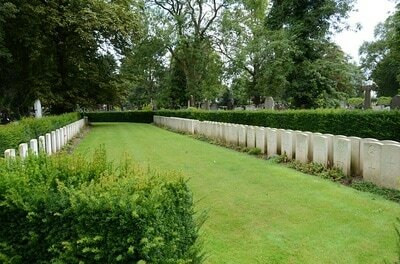 Son of Alexander and Jane Telfer, of Hartree, Biggar, Lanarkshire. 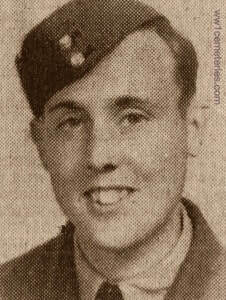 27th November 1943, aged 29. 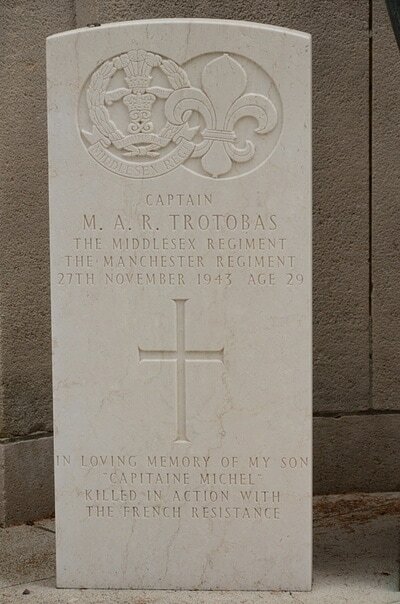 Son of Henri Noel and Agnes Trotobas, of Stoke Poges, Buckinghamshire. 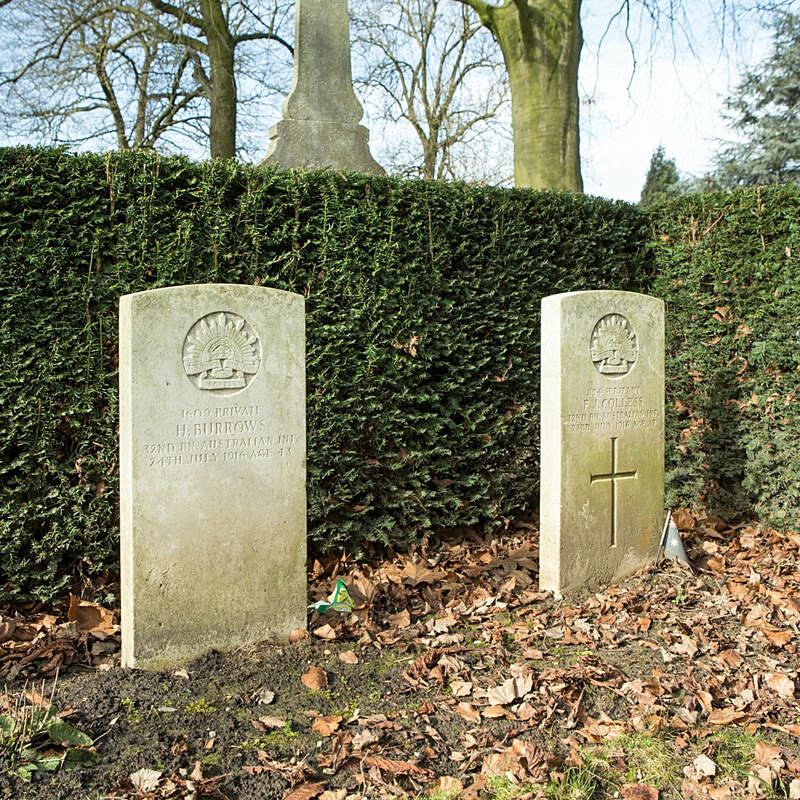 Formerly served with the Middlesex Regiment. (Buried below the Resistance Movement Memorial). 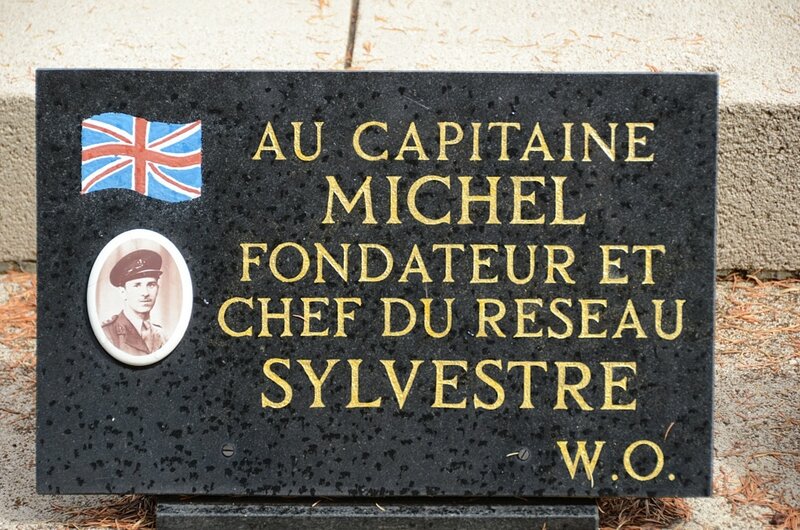 ​His headstone bears the inscription; "In Loving Memory Of My Son "Capitaine Michel" Killed In Action With The French Resistance." Michael Alfred Raymond Trotobas (1914-1943) was born of British and French parents and spent part of his early life in both Northern France and England. 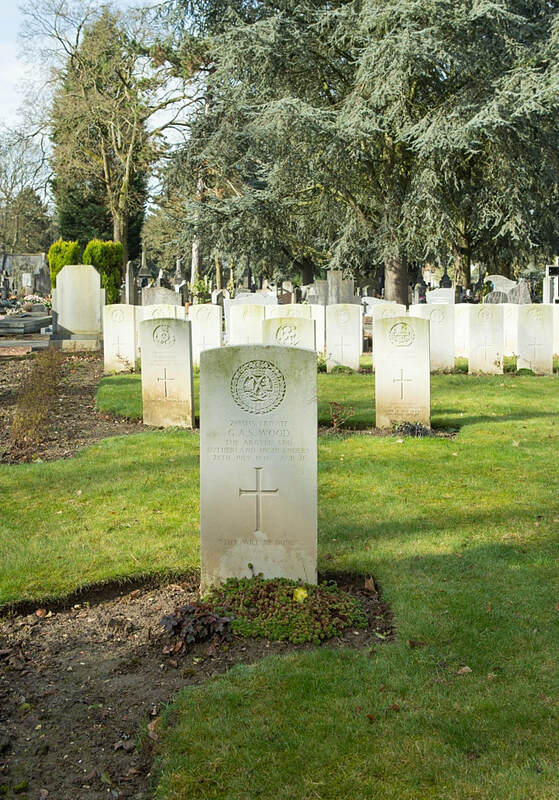 In 1939 he became a regular soldier in the Middlesex Regiment. 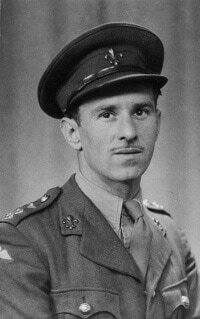 After Dunkirk (1940) he was recruited to the Special Operations Executive's (SOE) French Section and given a commission in the Manchester Regiment. 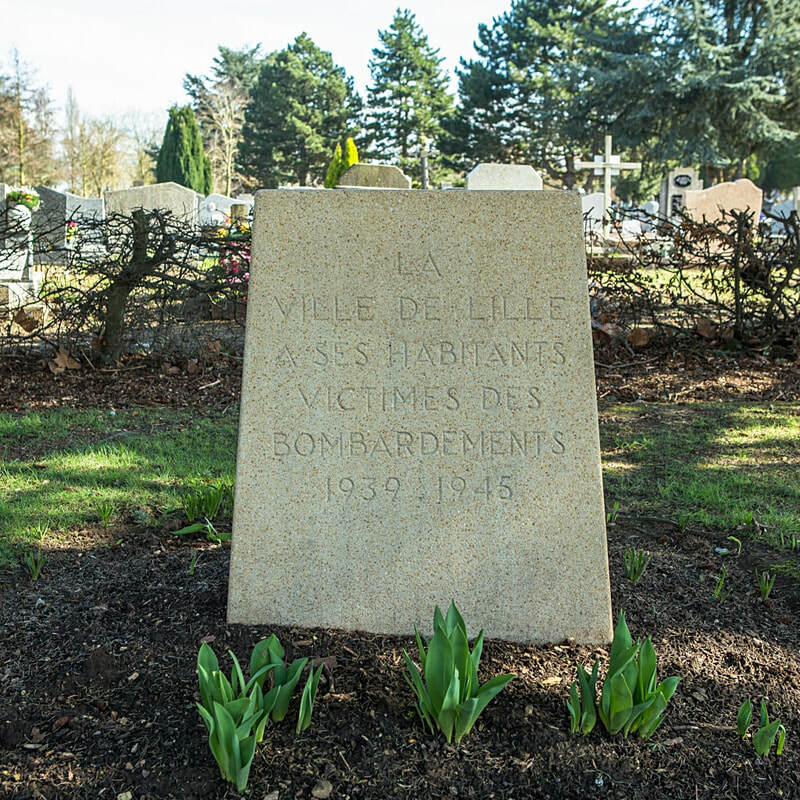 In 1941, under the code name 'Sylvestre', he was parachuted into the Chateauroux area. 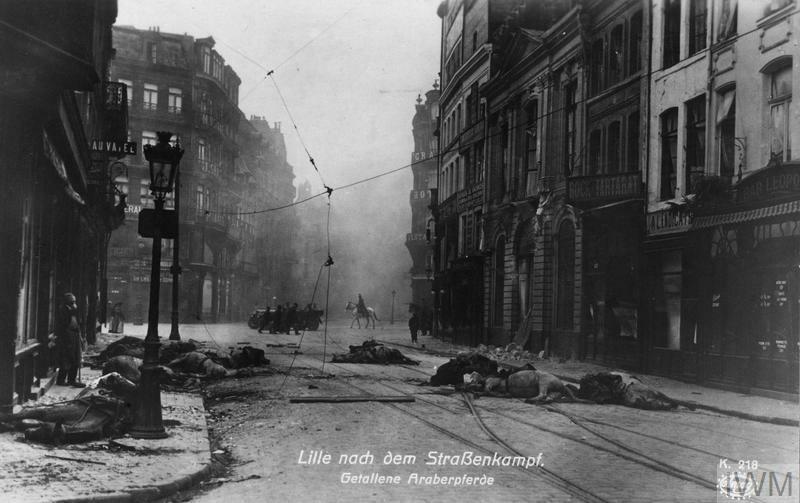 Six weeks later he and nine agents were arrested. 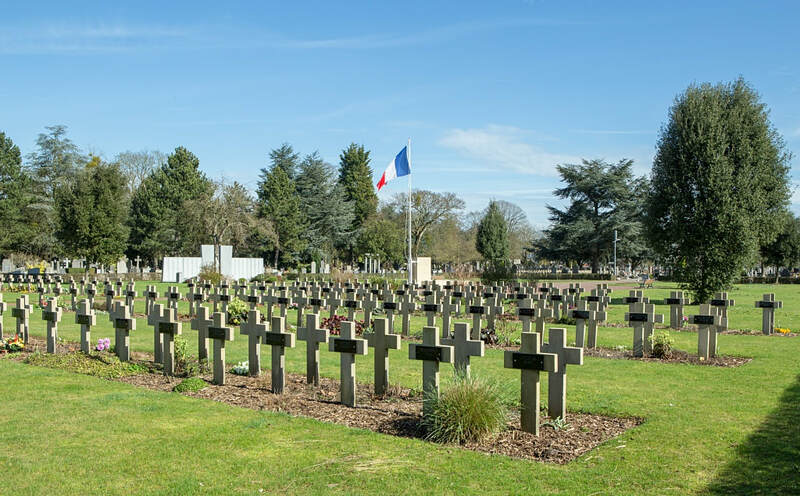 However, in 1942 Trotobas took part in a mass escape of SOE agents from Mauzac prison. 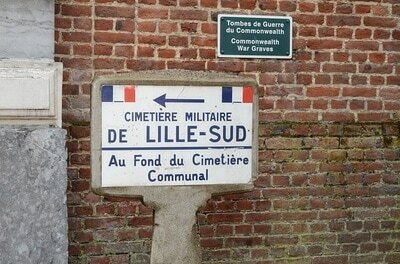 He then went on to establish and lead the Lille- based 'Farmer' circuit. 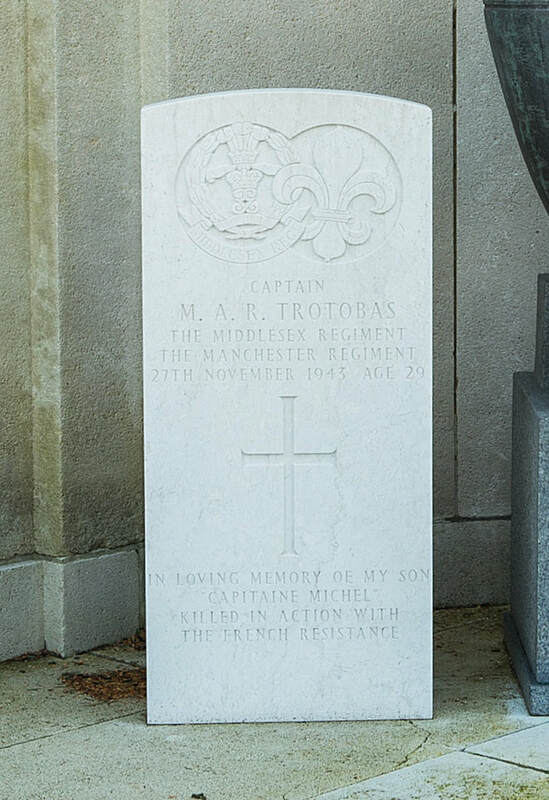 From 1943 Trotobas, or 'Capitaine Michel', successfully led a sabotage campaign against the Germans, targeting the Lens-Béthune railway, tool factories at Armentières, and naval depots and wharfs at Amiens, Boulogne and Calais. 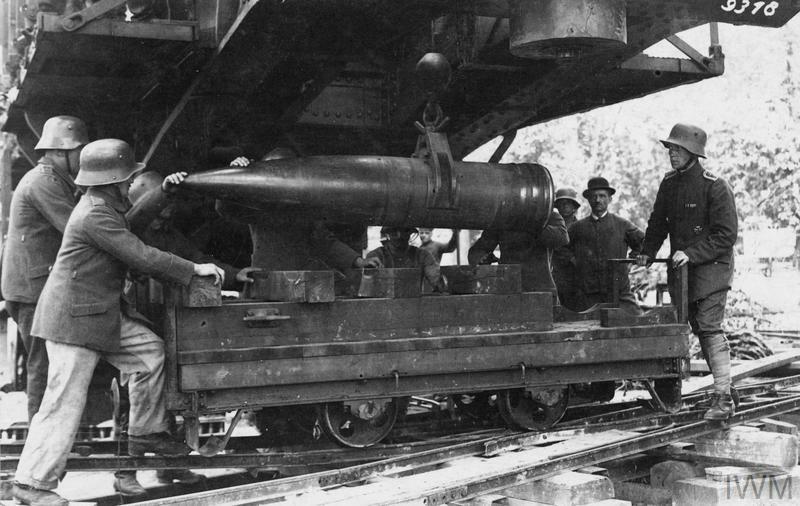 His most important operation was the destruction of the Lilles-Fives S.N.C.F Locomotive works, which was extremely important to the running of the German railway. 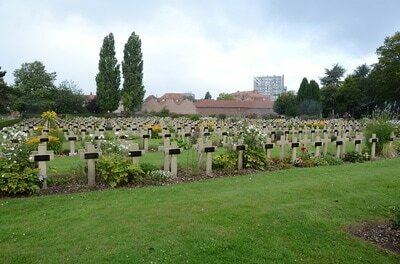 In June 1943 the factory was destroyed. 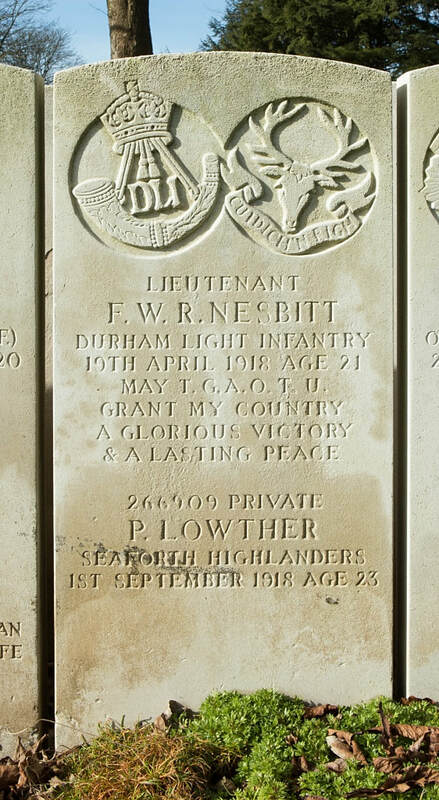 19th March 1915, aged 26. 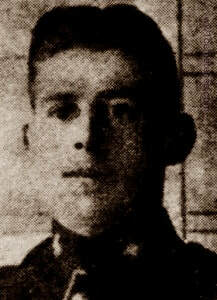 Son of Mrs. Margaret W. Warrand, of Lentran, Bridge-of-Allan, Stirlingshire. 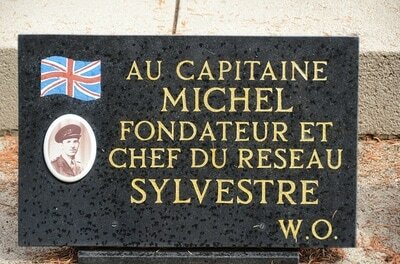 29th May 1940, aged 39. 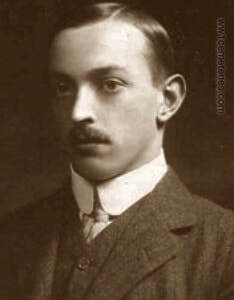 Son of George Edward Woodhouse and of Susan Henrietta Sealy Woodhouse (nee Fisher); husband of Eileen Mar; Joyce Woodhouse. 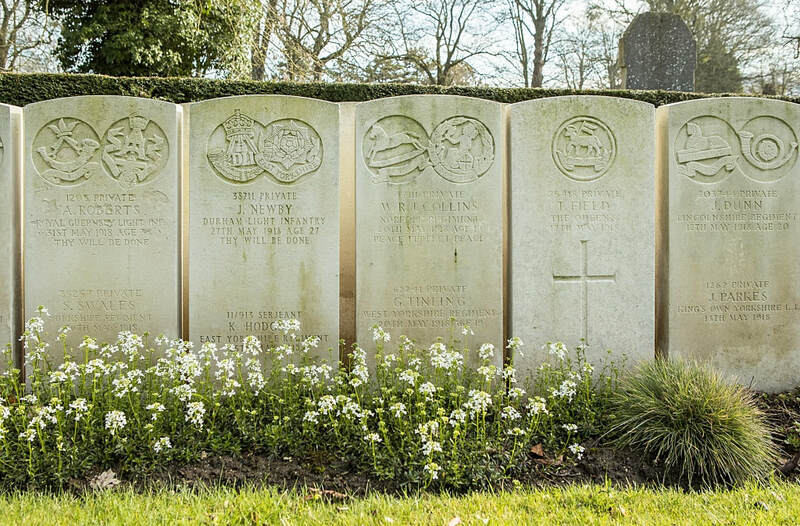 ​His headstone bears the inscription; "Greater Love Hath No Man Than This, That A Man Lay Down His Life For His Friends." 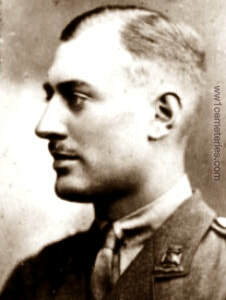 24th April 1918, aged 26. 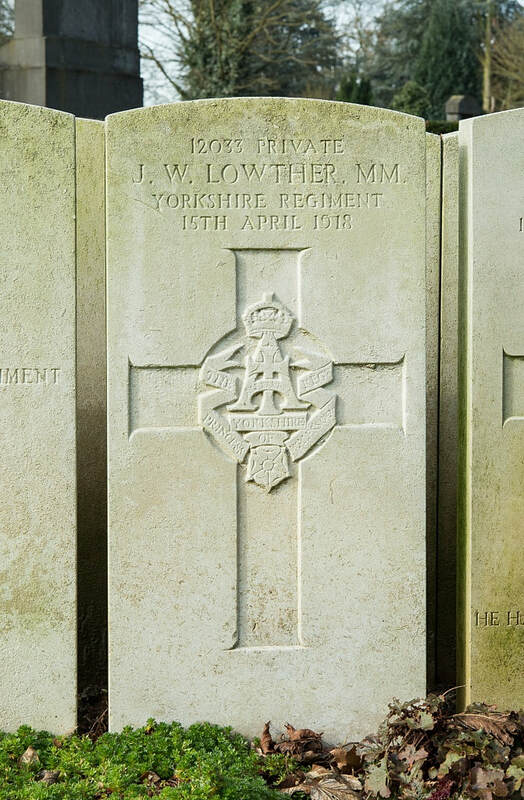 Son of Hall Woollin, of 24, School St., Gawthorpe, Ossett Yorks.